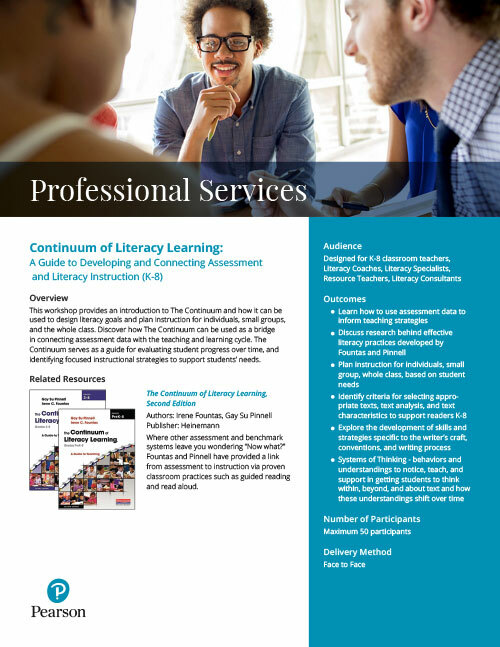 This workshop provides an introduction to The Continuum and how it can be used to design literacy goals and plan instruction for individuals, small groups, and the whole class. Discover how The Continuum can be used as a bridge in connecting assessment data with the teaching and learning cycle. 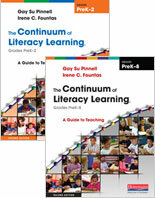 The Continuum serves as a guide for evaluating student progress over time, and identifying focused instructional strategies to support students’ needs. Where other assessment and benchmark systems leave you wondering "Now what?" Fountas and Pinnell have provided a link from assessment to instruction via proven classroom practices such as guided reading and read aloud.